Welcome to the "Colour PET" Project Page! 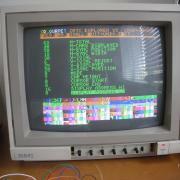 For a long time I have been facinated by reading some of the history of Commodore and their secret projects. 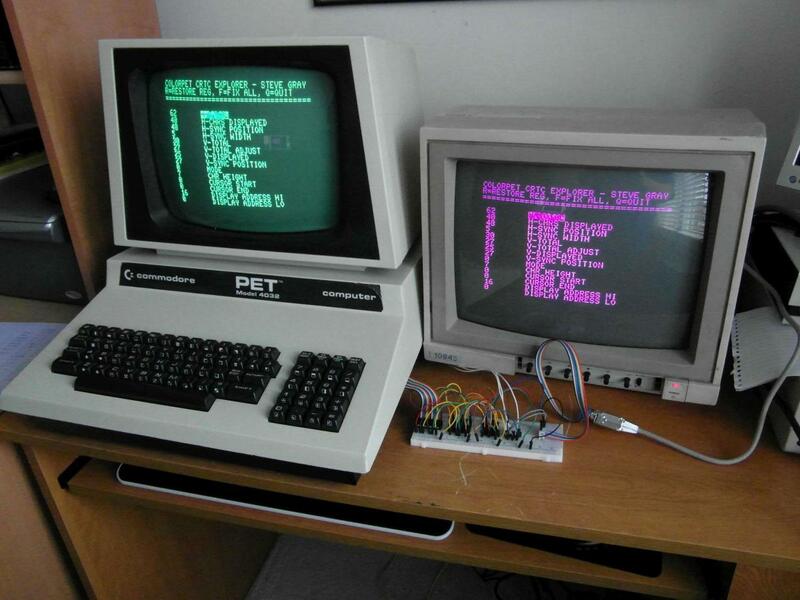 One in particular is the prototype Colour PET, said to be a hack of an existing PET computer, with a third-party colour monitor perched on the top. I've always wondered how it was done, and what it would take to duplicate it. I suppose no one will really know exactly how it was done, but this project will be an attempt to create a Colour PET along the same lines. 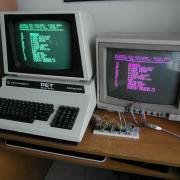 Commodore PETs run at 1MHz. This is fast enough to do 40 column video. In order to make an 80 column PET, they had to come up with a trick. 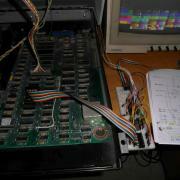 What they did was wire up two blocks of video ram in parallel. 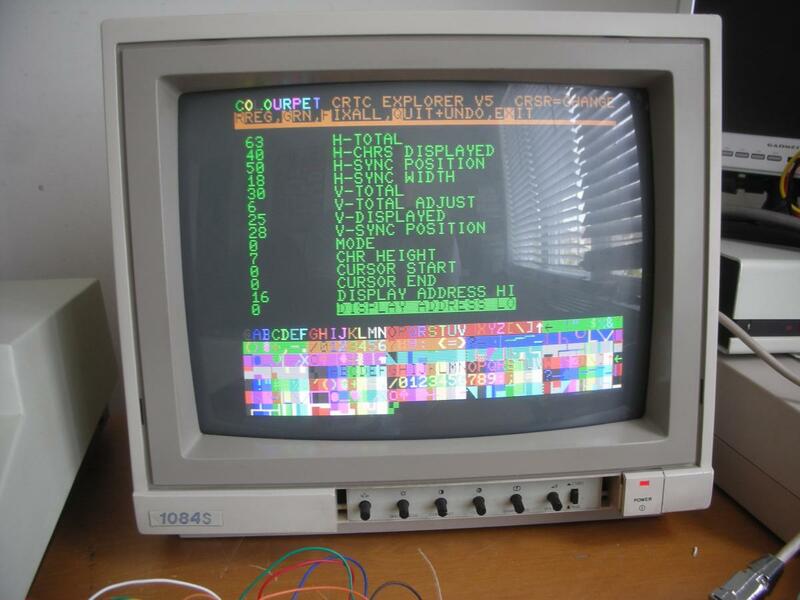 The CRTC controller accesses the two bytes at the same time, latches the data and then displays out each byte one after the other. The "Universal Dynamic PET" motherboard has jumpers to allow either 40 or 80 column operation. For 40 column we have 1K video ram installed in the "EVEN" ram bank. 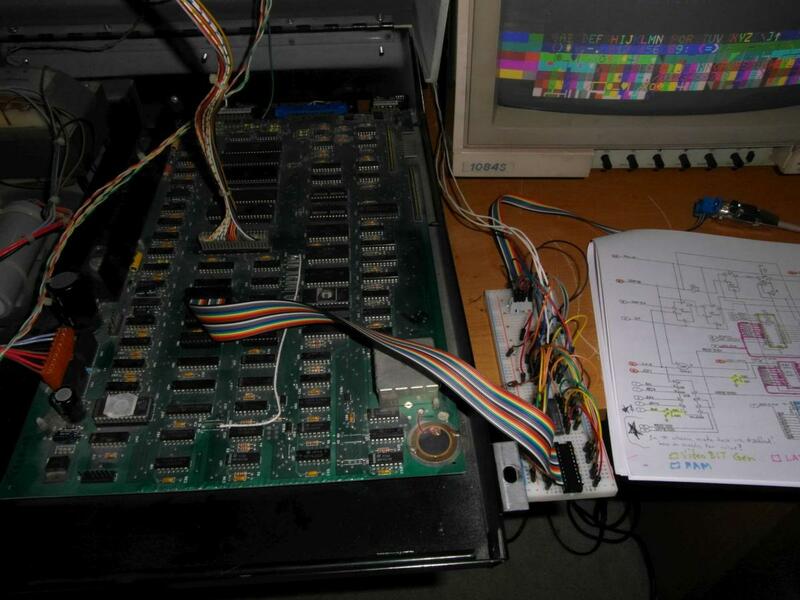 For 80 column we have an additional 1K ram in the "ODD" bank for a total of 2K video (80 x 25 = 2000 bytes).